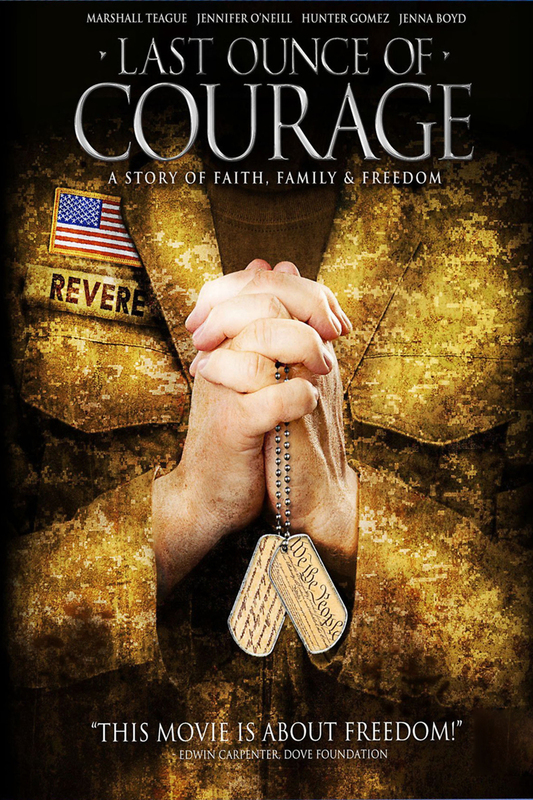 Last Ounce of Courage DVD and Blu-ray release date was set for December 4, 2012. After Christian Revere's father dies in the war for freedom, him and his mother, Carrie Revere head off to his grandfather's home town. Going through the grief of losing his father and Bob Revere's son, the two fin it hard to connect with each other at first. Being both the mayor and the pharmacist within the town, Bob Revere notices quite a few ways that their freedoms are being repressed. In an effort to stop this in their home town, they come together for the Christmas holiday in order to find a solution to the problems with freedom in their own town.